Whenever Apple takes the decision to open up new functionality to developers, you can bet your bottom dollar there will be plenty of unique implementations of whatever that functionality is. That’s undoubtedly one of the great things about the App Store; the insane amount of diverse apps that are published via third-party developers. The ability to design and develop custom keyboard apps was something that developers had waited for since the inception of the iOS SDK and when it was finally offered, they haven’t disappointed. 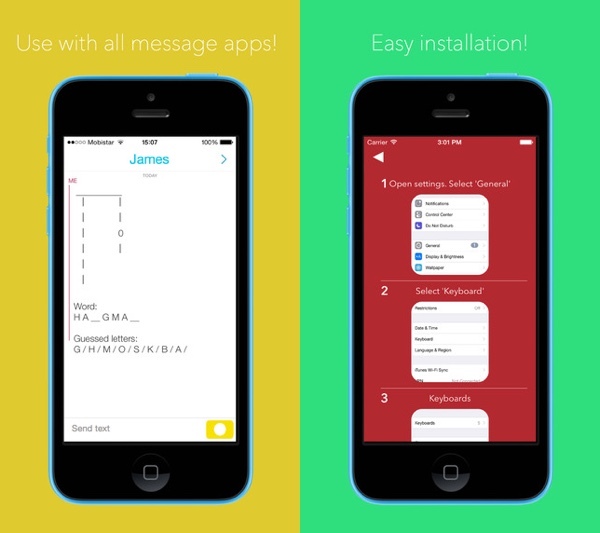 One of the latest offerings in this field, and probably one of the most unique, is HangKeys, a custom keyboard app that brings back the classic game of Hangman to any messaging app in iOS. Offering Hangman via a custom third-party keyboard shouldn’t really cause any raised eyebrows. The App Store faithful have already welcomed keyboard apps that offer unique emoji implementations, Taylor Swift lyrics, intelligent gesture functionality that allows fast predictive typing, and much, much more. 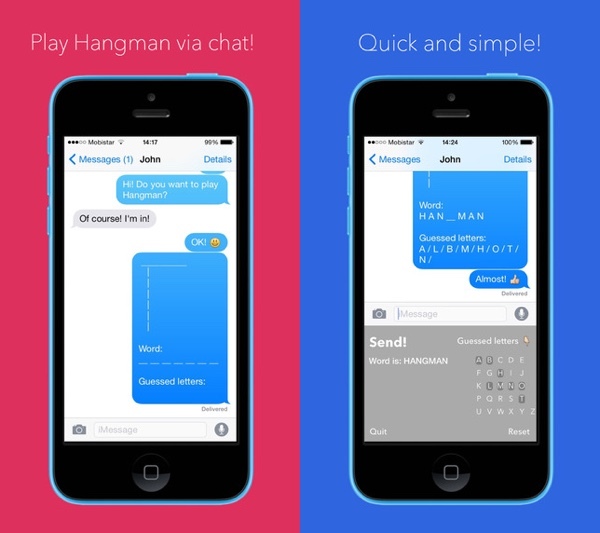 HangKeys fits right in with the crazier ones on the App Store and is possibly one the simplest and fun options available for keyboard lovers who love the idea of playing Hangman from within any messaging app. We all love and use messaging apps; such as Apple’s native Messages, Facebook Messenger, Facebook-owned WhatsApp and the madness of Snapchat. Even the official Twitter app can take part in all of this at times. 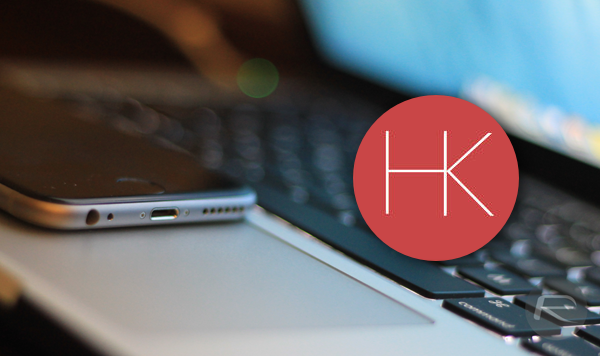 Installation and usage of the HangKeys experience is actually unbelievably simple. After choosing a word it’s possible to send directly to friends within your chosen app by selecting the custom HangKeys keyboard. Messages can then be sent to chosen friends with the game layout attached and updated as and when needed when a friend replies with a correct or incorrect guess. The idea for the app is actually quite simple and definitely falls into the “unique” category. The design and layout of the interface is well suited to Apple’s larger iPhone 6 and 6 Plus devices, but it does leave things a little bit difficult to manage on smaller screen devices. Still, if custom keyboards and simple fun gaming is your thing, then HangKeys should provide lasting, albeit probably infrequent, entertainment.